It sounds idealistic to be talking about meaningful work. After all, isn’t that the privilege of very few people? These days it seems so. Yet meaningful work is work that we are intrinsically attracted to and committing to that direction could ultimately lead to deeply satisfying work. So why would we not follow what interests us? Finding meaning in work is different for everyone. For some it can be found by gaining skills they would love to have or being part of an energised team; for others it could be solving big, complex, intellectually-challenging problems, while others could be drawn to make a significant difference. Intrinsic motivations are motivations that connect us to our true interest and direct us towards our potential. When people follow what naturally motivates them, they are more likely to do well. 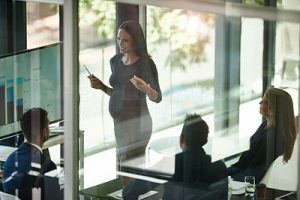 Employers who make sure that their staff are interested in the work they do and are connected to the vision of the business—and who support and develop them—will have engaged and productive employees. Ultimately though, it is the responsibility of the individual to pursue that which is personally meaningful. Imagine what it would be like to really enjoy your work!